Shu Han Lee is one lady with many skills. 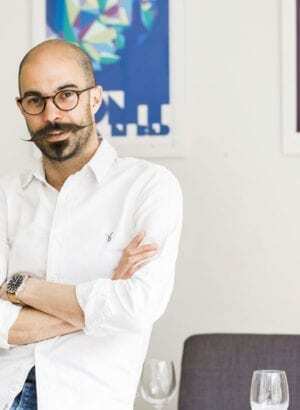 After growing up in Singapore, Shu first came to London as a teenager to study graphic design at Central Saint Martins College. 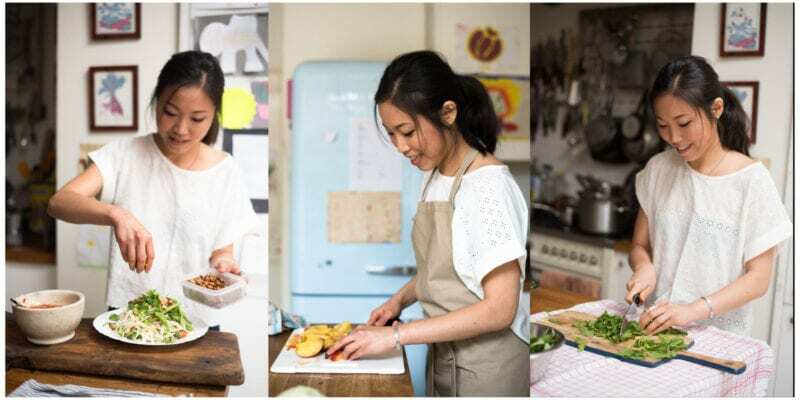 Shu’s blog Mummy, I Can Cook, was started as a way for Shu to document evidence that she was surviving in London for her mum, but has since been named as one of Britain’s best food blogs by the Sunday Times. 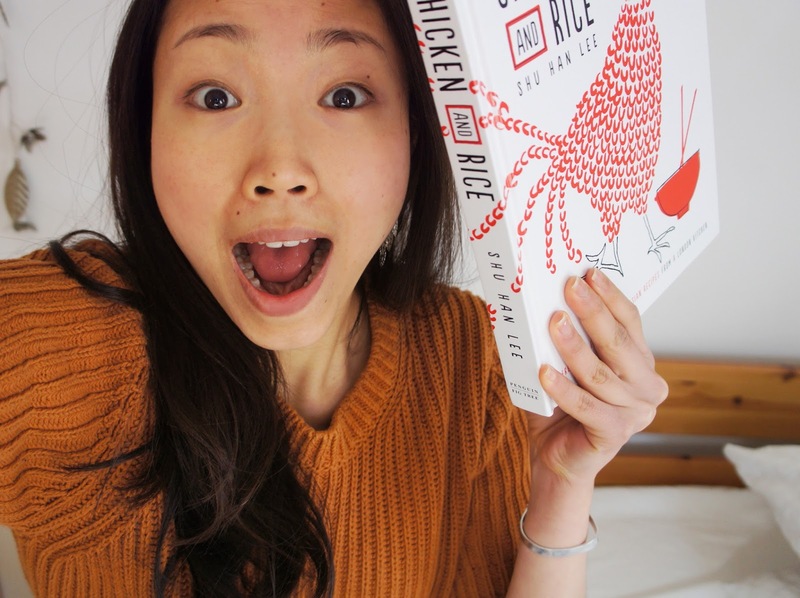 Loving the variety in your cookbook, Chicken and Rice! Where did you find inspiration for your recipes? Chicken and Rice is a real hodgepodge of inspiration: some are gathered from my travels across Southeast Asia; many are deciphered from my own obsessive recipe development sessions with friends and supper-club guests as guinea pigs; while others are gotten from the lips of Mum and various aunties. Another constantly evolving source of inspiration is the seasons; I’ve learnt to adapt traditional recipes with the fantastic seasonal produce that Britain has to offer. We’re thrilled to be featuring your fresh Khao Tom dish, adapted from a recipe in Chicken and Rice, on the Gousto menu this week. What’s the story behind it? Tell us about where you first encountered this recipe. I think it’s very common to have leftover rice and extra broth sitting in the fridge of a Southeast Asian kitchen, and it was no different for my family. Because my Mum hated wasting food, the leftover rice and broth were often transformed into an entirely new dish – congee if there was time for a long simmering, and just “soupy rice” if time was tight. The leftover rice is brought to a rolling boil in stock, and then pimped up with all sorts of goodness – fresh vegetables, pickles and condiments like fried shallots. I came across “soupy rice” again during my travels, this time with an unfamiliar Thai name but still made in a similar homely fashion. There are lots of variations but my fondest memories are of a cheap, tiny breakfast spot I chanced upon in Chiang Mai, which serves their Khao Tom with juicy handmade meatballs, and that’s the version I’ve shared in Chicken and Rice. I also sometimes slip in sliced cabbage or other winter greens. It’s my idea of a perfect meal, especially on cold wintry nights – soothing, yet light and balanced with plenty of fresh coriander. You came to London as a student from Singapore. 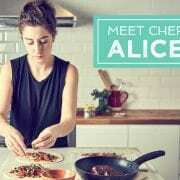 How has British cuisine influenced the food in your cookbook? During my student years, I got my dream part-time job managing a farmers’ market. That meant being surrounded by delicious produce! That also meant waking up at ungodly hours on a Saturday and forgoing Friday nights out… but I loved it. Over the course of 3 years, I made friends with producers who really care about food; and I learnt to anticipate purple sprouting broccoli as a sign of the seasons changing. I started incorporating fresh British vegetables, and seasonal produce like game into my cooking, even when I was cooking something typically Southeast Asian. I grew up on, and am still heavily biased towards, the punchy spicy flavours of Southeast Asia. But at the same time, the seasons are a never-ending source of inspiration for my food, and you’ll find suggestions for seasonal variations throughout the cookbook. Your other passions lie in graphic design and supper-clubs. Did these play a part in compiling your recipes for Chicken and Rice? Many of the recipes in Chicken and Rice are supper club favourites! I think the best part about cooking is the fun of eating together. 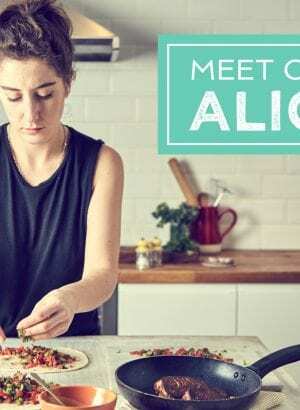 Coming to London 7 years back was a huge step for a shy awkward teenager – and learning to cook was really me finding my way, and then later, friends, in this scary new city. 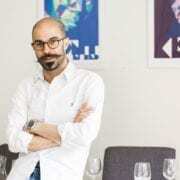 At the end of a supper club, I can beam stupidly while looking at an East London ‘hipster’ sharing jokes and pickles with a banker that’s made his way down from Fitzrovia. You’ll see plenty of my food doodles throughout the cookbook. I’ve also included infographic illustrations in the book to help everyone make sense of the crazy food culture and variety in Southeast Asia. I’m a geek at heart and love classifying information. One of my personal favourites is the Noodle Chart, developed from one of portfolio pieces for my final year show at Central Saint Martins. 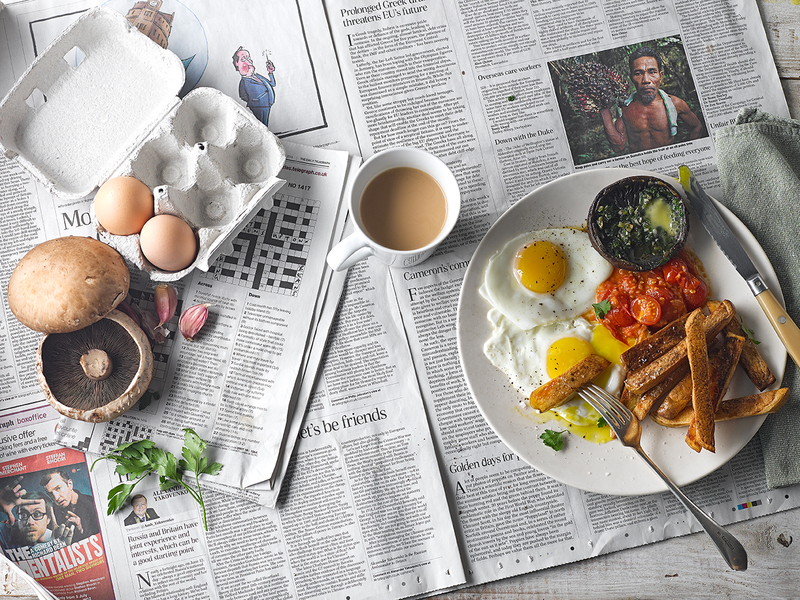 Could you let us in on your top food styling tip to get that perfect supper snapshot? Good lighting, usually just by a window with natural light streaming in. This of course gets a bit tricky in winter… so I suggest having an early supper and then curling up in bed to hibernate. What important skills can aspiring chefs expect to discover from the dishes and advice featured in your book? I write about ‘agak agak’ in the introduction. 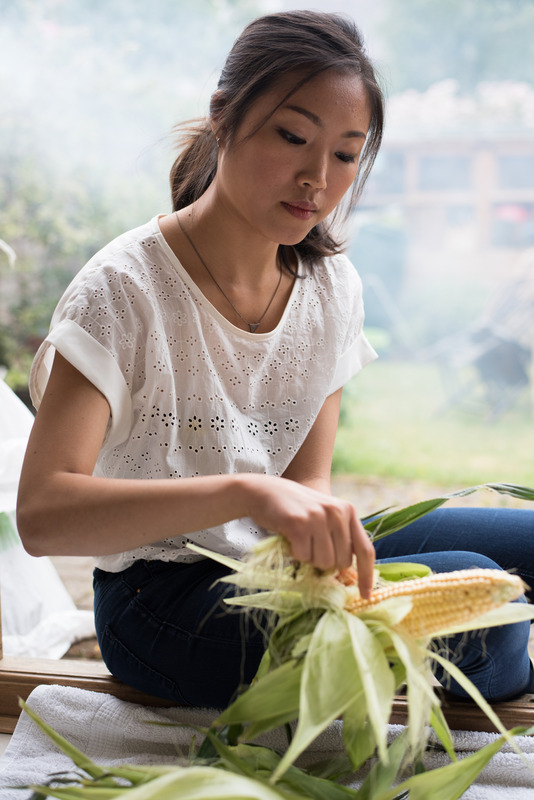 At the heart of all Asian home-cooking, is a spirit of ‘agak agak’ – the art of making do. A recipe from my aunt might look something like this: Chicken – depends how much you want to eat; shallots– 10 to 20, depending how much chicken; chillies – to your tolerance level; sugar – if you like it sweet, add more. It was a hair-tearing level of frustration trying to learn from the older women in the family. Now I find this instinctive style of cooking very refreshing. Southeast Asian recipes are very much adaptable to your tastes; and really, one soy sauce could be saltier than the other, and one chilli, spicier than the next, so always learn to stop, smell and taste like a true Asian cook. Also, don’t be afraid to experiment with the different vegetables and produce as the seasons change; there is nothing more authentically Southeast Asian than making do with the freshest ingredients you can get hold of. Name your favourite ingredient you think people should be using more in their cooking at home. It’s hard to name just one, so I’m going to pick a favourite that people might have lost touch with: white pepper. It’s fallen in popularity especially compared to black pepper, which I find such a shame. White pepper is milder compared to black pepper, but has a great earthiness and spiciness that lends itself especially well to Asian food. You will see many dishes in this book using white pepper in unusually huge quantities for its flavour… the quantities aren’t typos! Describe the single best food experience you’ve ever had. My best food experience was during a solo travel to Hanoi. The chef was this petite old lady with a toothy grin and a makeshift stand that appeared as randomly as it went. The place had no sign and no tables. You grab a stool, point at the bubbling pot beside her, and get a bowl of slippery noodles in a tomato broth, with crab pate, sea snails and fried tofu puffs. Everyone helps themselves to a communal basket of Vietnamese mint, basil, and sawtooth coriander. It was hardly the most glamorous experience, and I’m not sure it would appear on any food critic’s radar, but it was one of the most fantastic meals I’ve had. Probably the time I managed to somehow screw up rice in a rice cooker. It was my very first time cooking rice. The grains were still raw, but I chewed happily on them anyway, feeling very proud of myself. What do you think is going to be the next big thing in the food industry? 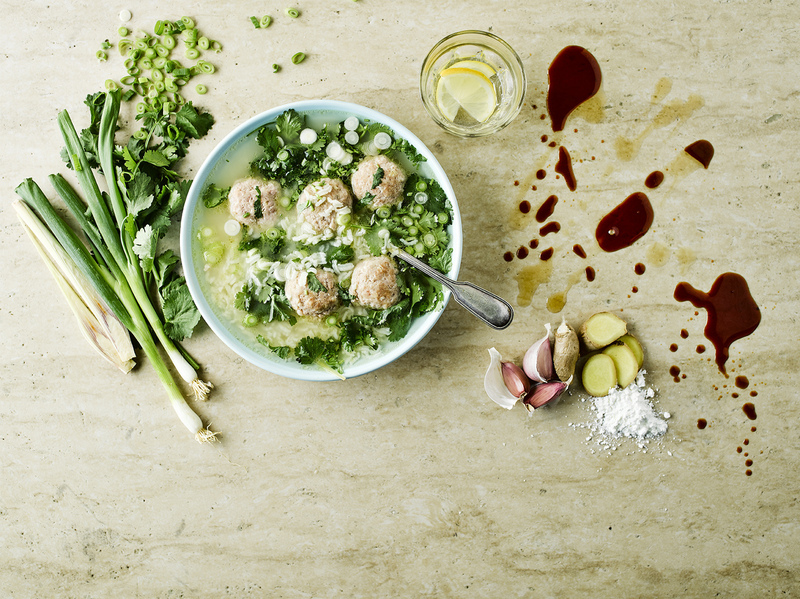 Take a look at the full recipe for Shu Han Lee’s Khao Tom in Gousto’s online cookbook. Check out this week’s Gousto menu, featuring Shu Han Lee’s Khao Tom and heaps of other delicious recipes! 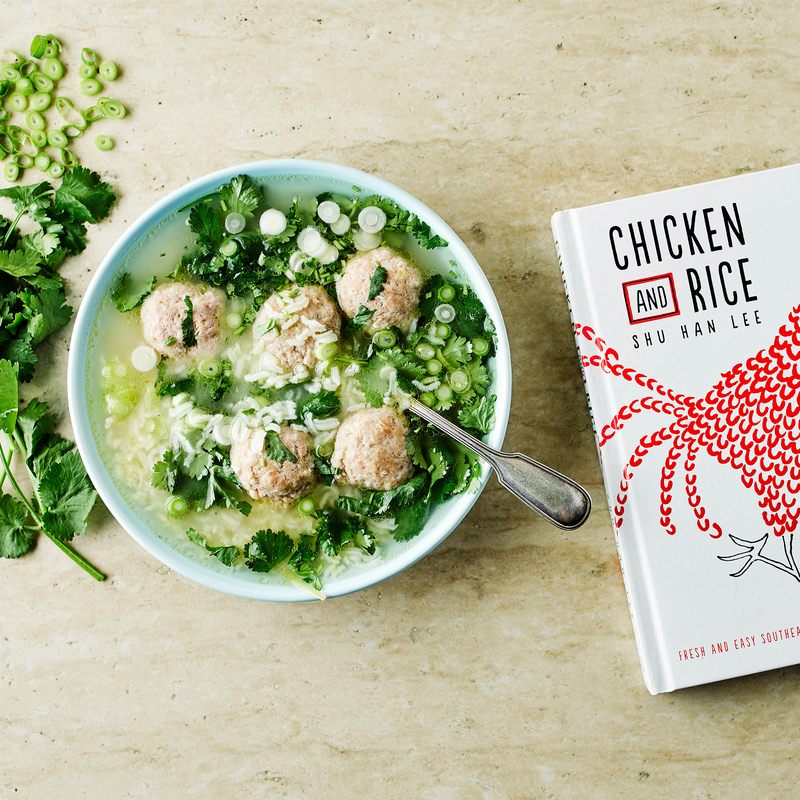 Shu Han Lee’s new cookbook Chicken and Rice is available now. Why not read of some of our other celebrity chef interviews with the likes of Nadiya Hussain or Norman Musa?